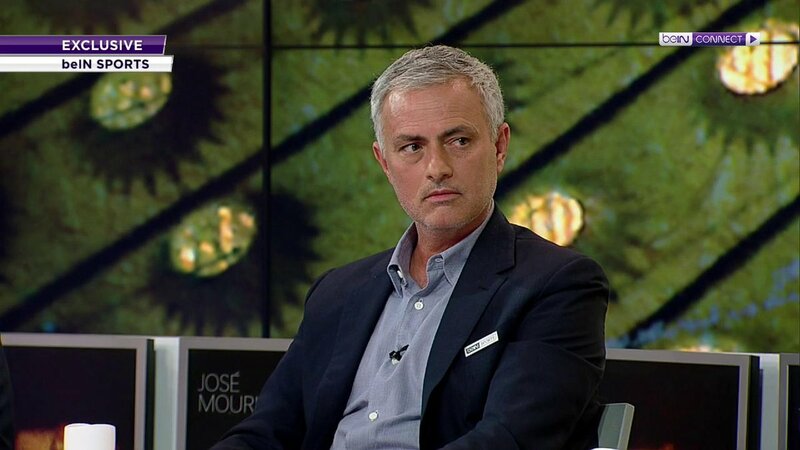 beIN SPORTS's tweet - "A stunning admission from José Mourinho - The infamous laundry basket story was true! Here's how he got away with it... #beINMourinho #beINPL "
Great story 😂 He tells it well! #Mourinho with a great anecdote here from when he circumvented the #uefa Champions League ban against Bayern during his first spell as #cfc boss. Kapitalna historyjka o słynnym koszu, w którym schował się Mourinho. "Wokół byli ludzie, którzy koniecznie chcieli mnie znaleźć, więc Stuart [magazynier] zamknął wieko. Nie mogłem oddychać, umierałem. Mówię serio". LMAO!! I'm in tears! 😂 Hilarious story from José when he was at Chelsea and the kit man hid him inside the basket! 😂 Amazing! I have developed a soft spot for this man in the 1 year. Have heard this one before. It’s an absolute belter. Like a burden has been lifted. What a man. Looks well too. Love Mourinho. His teams play shite but he still wins stuff and he’s a character, very few left these days. Frank Lampard stuck his fingers in his ears for everything Mourinho said that half time out of honesty and respect for the opponent. Mourinho can still be fascinating to listen to when he drops his defences & let’s his natural wit & personality show. Shame the pressures of the job at @ManUtd seldom allowed that. Wish him well. No. It's not true. Frank Lampard said so. Another lie from Frankie boy. Classic Jose; he needs to find this side of himself again! Jose and the laundry basket. Lmao. I hate him but we do need characters like him in football! Where was this Mourinho at United?!!! Best thing I’ve heard 😂😂 what a man! You can see how bad Keys is at his job here. Mourinho is willing to tell the story and he just wants to lick his arse instead of asking him. Then Mourinho takes it upon himself to tell it anyway. Dette er vel verdt samtlige millionar han får for å stille opp! That was peak Mourinho. Wish we had gotten that version of him. Lo odio pero lo que cuenta acá es increíble. Chelsea - Bayern Múnich. Misma sanción que Gallardo de no poder estar en el vestuario. Encuentra una solución: esconderse en la canasta de la ropa sucia. Lovely to see Jose so happy and smiling, talking about being in a laundry basket ...so cute. Such a pity he was an absolute waster at Utd this season, such a miserable whinebag! Thats why he is the special one ☝️. What’s the context here? Was he serving a ban at the time? Yeah, ok, this is funny. Just ignore Keys and Gray. 😂😂😂 quality. I can’t not like him! Nå kan jeg endelig være fan av Mourinho igjen. For en mann! 🤣🤣🤣 قصة مورينيو لما دخل "صندوق الغسيل"
There's only one José Mourinho!